Every other year, CEO Erik Talkin commits to the challenge of living off of a month’s worth of food stamps. This amount comes out to approximately $194 a month for a household of one, a mere $6.46 a day. Read the full article by Alys Martinez here. This entry was posted in News on February 26, 2019 by Hailey Phelan. Congressmember Salud Carbajal (CA-24) invited Erik Talkin, CEO of Foodbank of Santa Barbara County, to attend President Trump’s State of thee Union Address 2019 as his sole guest. Read Mitchell White’s article here. This entry was posted in News on February 4, 2019 by Judith Smith-Meyer. Furloughed federal workers and those working without paychecks because of the U.S. government shutdown got some help feeding their families Wednesday as Foodbank of Santa Barbara County distributed food to them at three locations. Read the full article by Mike Hodgson here. PLEASE NOTE: Updates have made been since the publication of this article. The Lompoc location has been changed from the Methodist Church to the Federal Correctional Staff Housing Center, located at 242 Oakridge Road in Lompoc. This entry was posted in News on January 17, 2019 by Hailey Phelan. Read full story by Sheri Mobley here. This entry was posted in News on January 16, 2019 by Hailey Phelan. The one year anniversary of the deadly 1/9 debris flow in Montecito was not only a chance to remember those who lost their lives, and were injured. It helped focus new attention on the issue of preparedness. 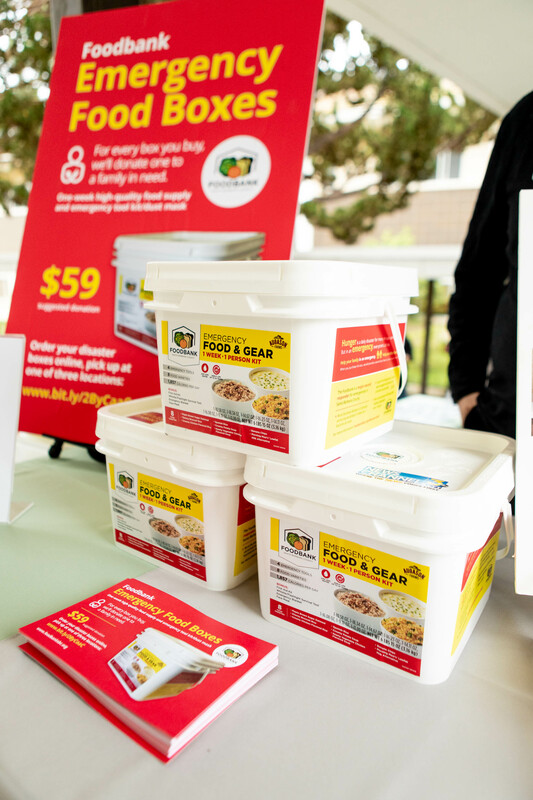 In the wake of the Thomas Fire, and Montecito debris flow, a non-profit agency which normally focuses on feeding the hungry in Santa Barbara County is making available disaster preparedness food kits. Read more of the article by LANCE OROZCO here. This entry was posted in News on January 10, 2019 by Hailey Phelan. Talking Nutritional Education with the Foodbank of Santa Barbara County’s Leader. Read more of the article written by ROGER DURLING here. A line of families and parents crowded the sidewalks along Pine and El Camino streets Thursday night, waiting for their turn to be called into the Veterans’ Memorial Community Center in northern Santa Maria. Read more here. This entry was posted in News on September 13, 2018 by Hailey Phelan.